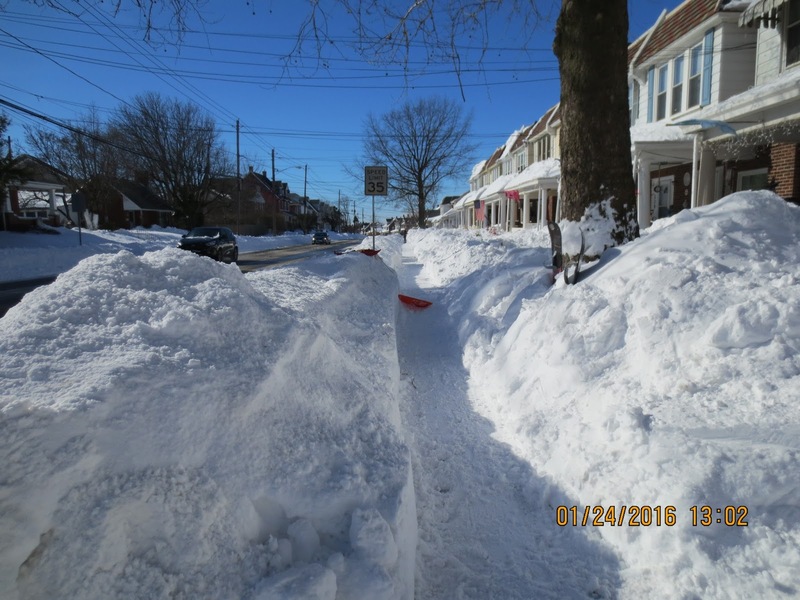 After a mild December and part of January, the infamous Blizzard of 2016 dumped 30 inches of snow where I live. Old Man Winter sure had the last laugh on us that day. It's like he stored all the snow and then dumped it on us at one time. Baltimore and New York shut down, not allowing anyone to enter their borders. Philadelphia stopped its trains and buses. Snow plows barreled down highway, trying to keep the roads clear. Yet, good things happened as well. Kids scaled snow mountains and slid down them. Neighbors came to the rescue of those who couldn't do their own shoveling. People were nice to each other. Sometimes writers and authors encounter those who put us down, question our abilities, belittle our stories, and wound with their Frankenstein edits. Some will complain if they have to pay anything for an ebook. They are the blizzards of the writing life that leave us frozen and unable to move forward. Thankfully, the majority of the writing community helps others the way those neighbors came to the aid of their fellow man. When we need someone to give an opinion on a book cover, point us to a resource, critique our work, or teach us what they've learned over the years, they share their knowledge. 1. The friends who critique my work and pray for me. 2. Those who gave me one of their book proposals, so I could use it as a template. 3. All the bloggers who invite others to guest post, be interviewed, or highlight a new release. 4. My agent's assistant, who teaches me about Social Media marketing and guides me through the maze of publishing. 5. Established authors who made introductions to the powers-that-be in the publishing industry and gave endorsements. 1. Review our books on Amazon, Barnes & Noble, Goodreads, and other outlets. 2. Share our blog posts, Facebook updates, and Tweets. 3. Tell their friends about the great book they read. 4. Encourage us with their enthusiasm and appetite for more of our work. 5. Snap up our new releases and older titles. Writers and Readers: Who are the heroes in your life? How do you express your gratitude? Glad you survived the blizzard! Hoping this next round doesn't bring too much your way. You would be one of my heroes, with all the advice and help you've lent over the years. :) I'm blessed and thankful to have good friends like you. Wow, that is a lot of snow. We are having a very mild winter here. My heroes are those that support my writing, period. And those that take the time to comment, read, and promote. And writers like yourself whose tenacity, even with blogging and social media, are inspiring. Thank you. It's snowing now, but we're expecting only 2-4 inches. Aww, thanks a bunch. You've pulled me through quite a few rough patches as well. Yes, it means so much when people support our efforts. My late husband and Mom both encouraged me to keep moving forward even when it seemed like this publishing journey got frustrating. Susan: You ask who are my heroes in my life. I have two very special friends who helped us while I was in the rehab center. One stepped in to my spot on the visitation team and went with my partner to see the ones we see every two weeks. She also helped us get some medical equipment we might have needed once I got home. The other one gave me an i-pad to use so I could continue with writing while I was there. I couldn't get it to work right. Our son got it up and going for me on Christmas Day. Right now, it is not working. I intend to ask that friend if her husband could take look at it for me. If he can't I have another 'friend' whose son-in-law maybe can do something with it. Hi Quiet Spirit - I experienced the same thing when I went through tough times with my late husband's illness and my own challenges. It's such a blessing when people reach out and help. I'm glad you're doing better and back to blogging.